QUESTION: Thank you for your blog. You put a lot of work and knowledge into it. Again, thanks. When you talk about $19 Trillion in pensions in the USA I take that to mean “pensions.” But then you said “retirement accounts” or retirement savings”, which may include IRAs. ANSWER: Unfortunately, this includes retirement savings and private pensions. This does not include fictitious funded states or the Fed;s SS. I do not BELIEVE that they will seize any accounts in the USA before 2016. When the economy turns down, to hold on to power, they will then look to seize retirement funds when they cannot sell their bonds. It will be a forced investment. 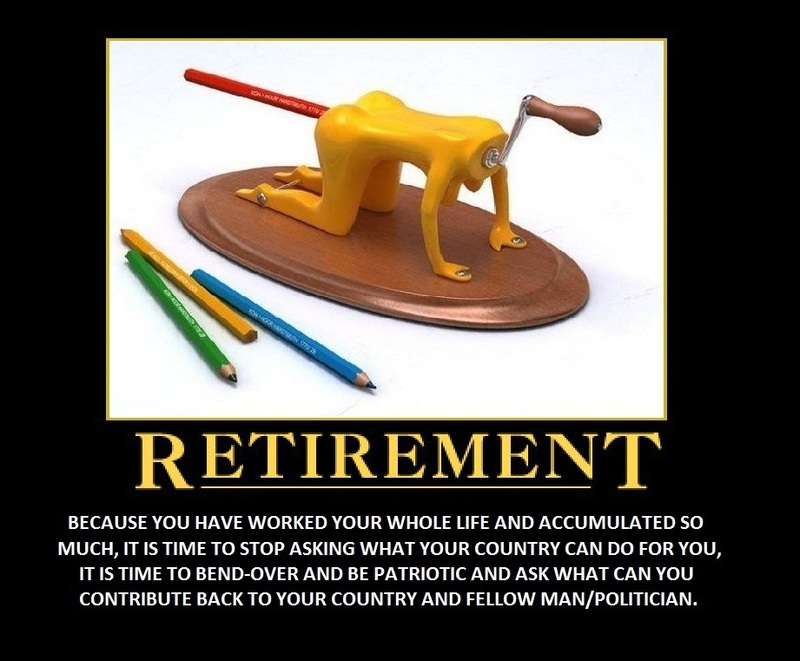 In the case of Greece, there the pensions are pretending to invest in buying government buildings? We have do have possible solutions. But they will not take that up until there is no other choice. They are hunting money everywhere. They have their eye on 401Ks. What they will do just yet is not formulated. I do speak to people on Capitol Hill trying to get a sense of which way the wind is blowing. We need to stop the debt cycle. That does not seem plausible just yet under this administration. Then they will impose the Cadillac Tax on all benefits to jack up our taxes sharply. Even at current rates, my own healthcare jumped to almost $15,000 annually from$6,000 and that will then be taxed $6,000 under the Cadillac Tax. Effectively, my personal healthcare will have gone up $6,000 to about $21,000 and the tax will be equal to what I was paying. I cannot see how these morons think this will not seriously impact the economy from 2016. We are in a tremendous bull market in taxes. I have NEVER see anything like this in history. True, the rates were higher but so were the deductibles. This is raw tax and the deductibles are vanishing making the effective tax rates rising faster than at any time in history. Left unchecked, these people will absolutely destroy civilization convinced they need just a little more time. They have no vision. All it is about now is surviving one day at a time. So yea – they will raid everything they can get away with.